A toddler specialist (http://www.patiencebleskan.com/) suggested buying oil pastels for the younger ones to draw with, because you don't have to push as hard as crayons to get bold colors, and they were a huge success. 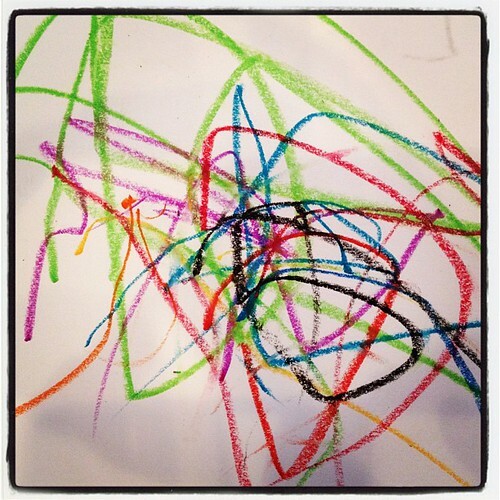 Our 20-month-old not only created something great, he also colored longer than usual! Here's a link to the ones we bought: http://www.crayola.com/products/28-ct-crayola-oil-pastels-product/. My little Picasso loves his oil pastels., a photo by SincerelyStacy on Flickr.